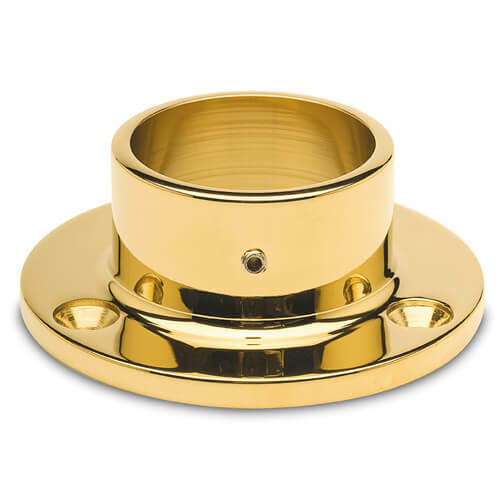 Flat mount wall / floor flange fixing with high polish brass finish, for terminating tubular bar foot rails and bar arm rails quickly and neatly. 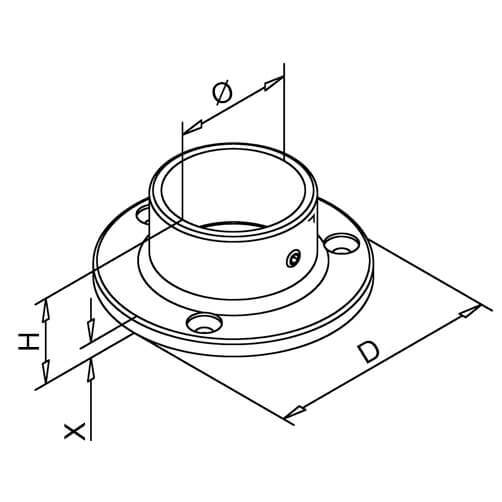 Tube fits neatly into wall flange and is simply secured in place by a grub screw mechanism. Manufactured from Zamak with a PVD coated brass finish for internal use (Not solid brass). Available for both 38.1mm (1.5 inch) and 50.8mm (2 inch) diameter tube. 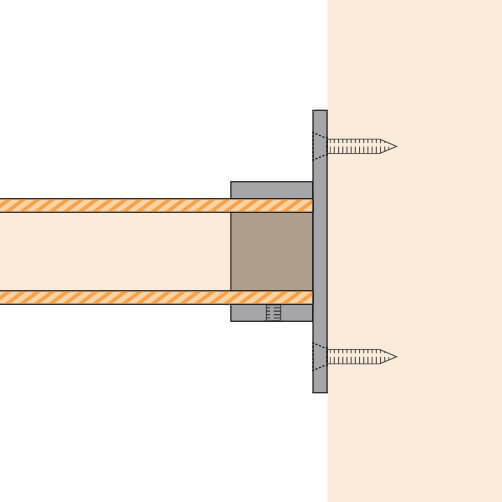 Three countersunk fixing points for secure attachment to flat surfaces. Can be mounted on to a multitude of surfaces if combined with the relevant fixings. 1. Mark your mounting position, can be direct mounted on to timber, you may wish to drill pilot holes or use wall plugs (not supplied) for a secure fixing on different surfaces, simply tighten the screws until tight. 2. Use a hex head key to loosen the grub screw, Tip: position the grub screw mechanism on the under side of your mount for a neat and tidy finish), Slide your tube into position. 3. Simply tighten the grub screw, always check that your tube is secure before use. Tube with Brass Finish for bar rail fittings. Bar Rail Brackets and Arm Rail Supports.